In this series, Tofugu asks learners what Japanese learning resources and methods they use to study and why. 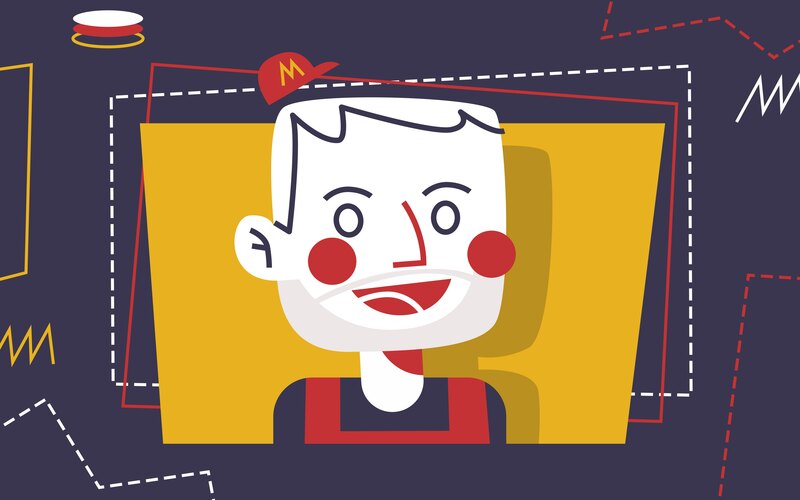 Today, we talk to Michael, editor of Tofugu. This article has tools and techniques that beginners can use! 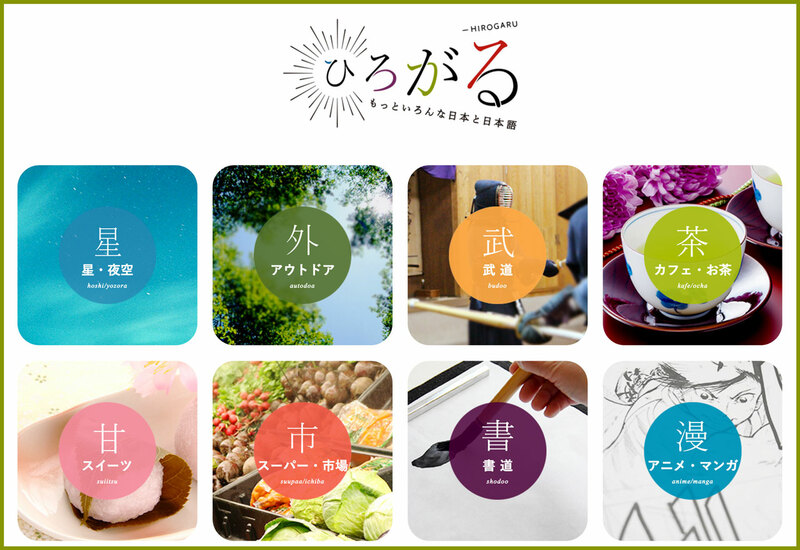 So if you're starting your Japanese language learning journey, we hope there's something here to help you. Take it away, Michael! Learning Japanese is fun. But even though I've come farther than I ever thought I would, I'm still a beginner compared to most people around me. If you're in the beginner, crawling-ever-so-slowly-to-intermediate boat like I am, check out the resources below. Hopefully they'll help you overcome whatever's sticking your boots in the mud. Maybe this recommendation seems obvious, but yes: I work at Tofugu and I use WaniKani. There's more to it though. I use WaniKani because it's painless (well… painless compared to other methods of studying kanji). If I do my lessons and reviews on a regular basis, I get results that stick. No matter what other Japanese study practices I start or stop, WaniKani is my mainstay. If you want all the reasons why this is a great tool, check out Koichi's "What I Use to Study Japanese" article. He explains it well. Beyond my recommendation, I want to talk about how I use WaniKani. Of course, I fire up the app every day and do my reviews, followed by five to ten lessons. Easy, right? Actually… not really. I have trouble staying consistent just like everybody else, so I utilize my smartphone and "habit triggers." According to Charles Duhigg, author of The Power of Habit, habits start with triggers. For example: getting out of bed and walking to the kitchen triggers me to make coffee. That habit formed on its own, but if I want a specific result I can use triggers to form a good habit on purpose. One of the best ways to do this is by making triggers out of things I do every day. Another example: as soon as I get to the bus stop in the morning, I pull out my smartphone and start my WaniKani reviews. Arriving at the bus stop triggers me to start the app. I continue this on the bus where I usually have time to do five lessons before I get to work. Though the WaniKani experience is best on the desktop (just ask Viet), I found that trying to schedule time to do WaniKani at my desk meant I wasn't doing it at all. I have time on the bus, so I use it. Using idle time is a fantastic strategy and one I wholeheartedly recommend, especially as your life gets busier. But that's not all! I add an extra step to my study process when I get something wrong during a WaniKani review. 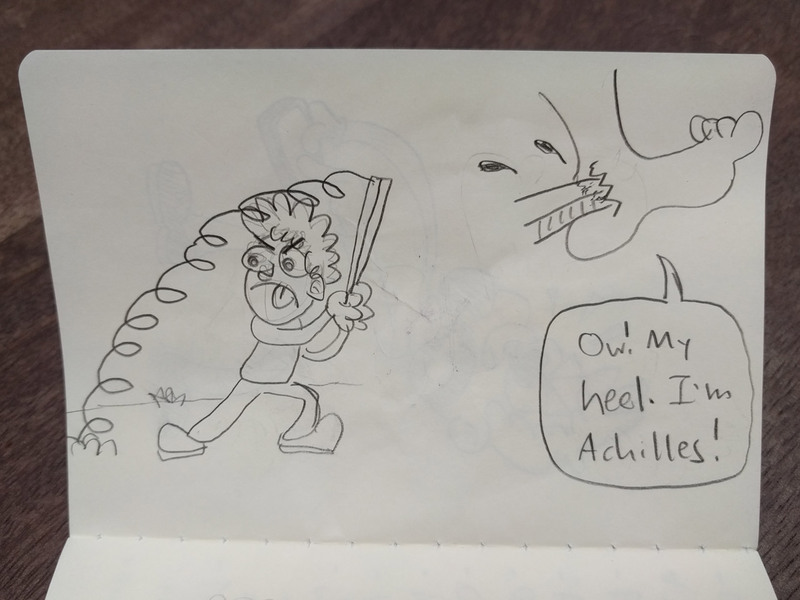 Mistakes are opportunities to get better, so I make sure I don't make the same mistake twice (probably), by drawing pictures of the mnemonic of the item I got wrong. I get a visual to associate with the item. This helps because I'm a visual learner. I create the visual cue in some concrete way. Imagining the mnemonic is one thing, but a lot of times, my imagination tends to be amorphous, feeding me concepts or quick, blurry images of the thing I'm trying to imagine. If I make those imagined objects concrete, I'm forcing myself to make them real. Not only will I remember the visual because I saw it, I'll remember it because I created it, line by line. I sketch quickly, just enough to create a memorable image. The image and the act of creating it is usually enough to help me remember the mnemonic the next time around. The first time I heard about language shadowing was while filming this video with Koichi. He explained how reading aloud along with Japanese audio can drastically improve speaking ability and comprehension – and it's one of the best ways to learn Japanese. But there's one problem: it's mostly for intermediate level or above. Sad for me. Nonetheless, I was so excited about this method so I tried it anyway. Sometimes me and my leather jacket just have to break the rules, you know? I tracked down some reading material with audio that's on my level and gave it a shot. Though Koichi suggests shadowing every day for a few months to see benefits, I didn't do it that often. Studying grammar and vocabulary is a much a better use of my time. Why do it at all then? Keeping my nose in flashcards and grammar books means my speaking ability decreases (and my fear of speaking increases). So I use shadowing as a kind of stretching exercise to remind my brain and tongue what it feels like to speak Japanese. It also works well as a warm-up before situations where I know I'll need to speak, such as language meet-ups and Japanese cultural events. 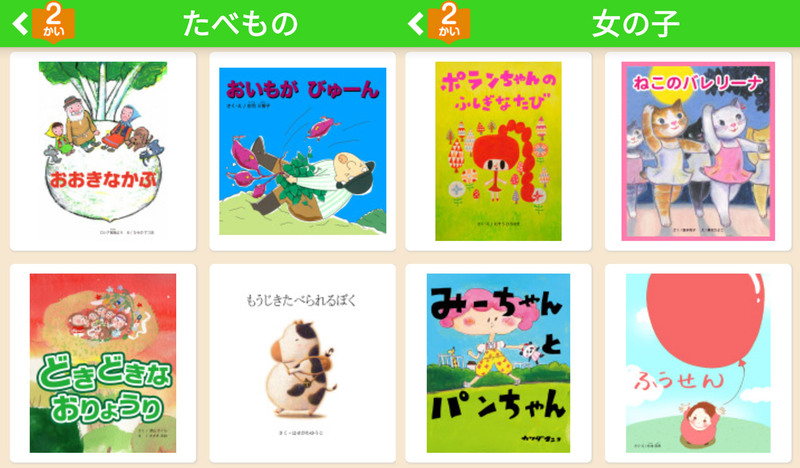 Pibo is an app for iOS and Android with over 320 kids picture books with audio. When learning a new language, there's a certain amount of material you're going to have to accept. After all, you're starting a language from scratch. You know who else starts languages from scratch? Babies. Pibo is nice because it's free, the audio is clear, and you can shadow with it even if you haven't been studying Japanese long. Unfortunately, there's little to no kanji in any of the books and you can only "read" three books a day (unless you pay extra). The three book limit has been fine for me. I've never found myself needing to shadow more than one or two a day. Pibo is a little below my level, but it's cute and free so I use the app from time to time. Hirogaru is a website by The Japan Foundation that has articles in easy Japanese with accompanying audio. Most "easy Japanese" resources are either news or children's books, but Hirogaru has articles on everyday topics like tea, music, the outdoors, supermarkets, and (of course) anime/manga. There are videos for each section with subtitles in Japanese and English, but those aren't very useful for shadowing. The good stuff is in the articles, which have Japanese passages with audio buttons next to them. Unfortunately, the audio doesn't auto play from sentence to sentence, nor is it easy to scrub through and hear the piece I'm having trouble with. 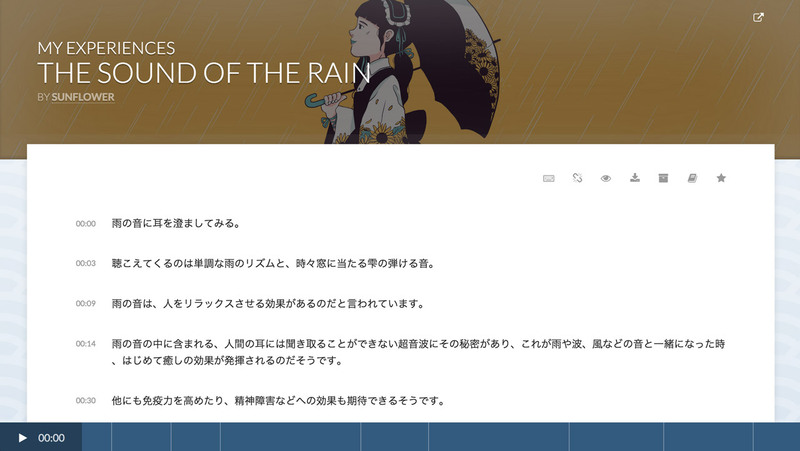 Also, there's no translation for the Japanese articles, though that isn't necessarily a downside. The lack of English definitely forces me to try and understand the sentence because there's nothing to fall back on. If I ever jump on the HiNative train, Hirogaru sentence translations would be a good thing to have native speakers check. Overall, this is a great resource because the Japanese is beginner, stretching toward intermediate. If you've been studying basic sentence structure and vocabulary for a little while, this will give you a challenge and some new concepts to wrestle with. Plus it's nice to not be reciting The Three Bears in public when a Japanese person happens by. EtoEto Kuma is one of the best Japanese shadowing experiences available (and I'm not just saying that because I work for Tofugu). The material is created by native speakers and spoken in native Japanese. I can toggle English translations on and off, the audio is easy to scrub through, and it's fun to shadow because I get to speak like a Japanese person, not a narrator or storyteller. EtoEto Kuma shines because it's actually made for shadowing. So the content is set up to shadow with much more than the other two resources I mentioned. EtoEto Kuma shines because it's actually made for shadowing. The content is set up to shadow with much more than other resources. I stick to the episodes labeled #Level1, because they're the only ones within my grasp (and +1 above my ability level). Kuma is meant for advanced Japanese learners, so even stepping into this territory can feel shaky. But the content is just so good, and so much fun to shadow, I can't stay away. That being said, the Tofugu team is overhauling EtoEto, and something will end up happening to all this content, though I can't say what yet! So, if you are lucky enough to have access to this right now, enjoy it while you can! I have a Google Nexus 5x, which means my phone is Android. Sometimes that makes me feel like a second-class citizen in a world controlled by iPhones. Thankfully, I found a Japanese dictionary I like, and I recommend others try it if they're trapped in the Android Phantom Zone like I am. My dictionary of choice is Akebi by Craxic. 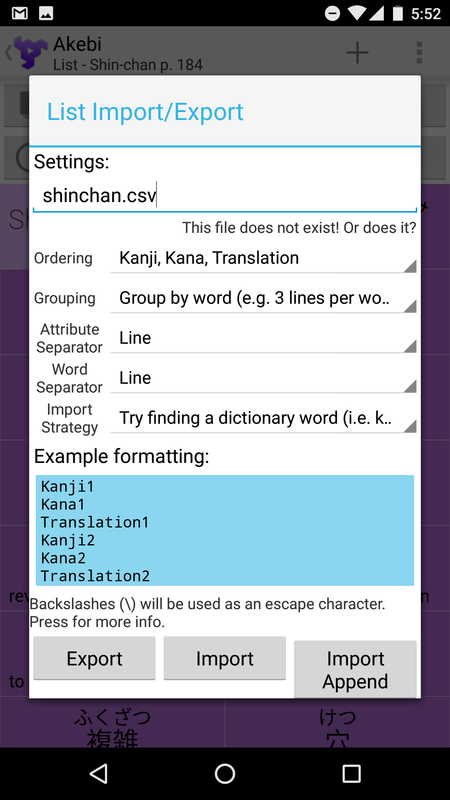 Overall, it's a solid dictionary with nice features – I can search by radical or (try to) search by drawing kanji. But I really love how interconnected all the items are. It's set up like a Japanese learning rabbit hole. 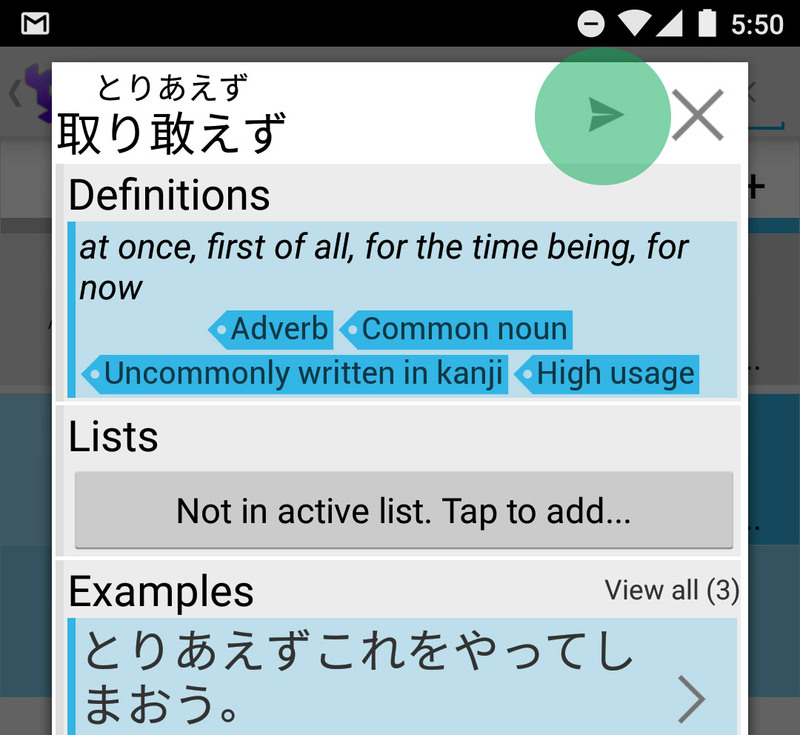 When I open a headword, I get definitions, kanji breakdowns, and example sentences – all of which can are linked to other entries in the app. I usually start out by searching the definition of a word. Afterwards, I read the example sentences, click a word in it (which takes me to more sentences), and so on and so forth. The best part about it is I can capture all these words in lists as I tumble from word to word. You can do so by tapping on the right arrow next to every entry. By clicking it, I can send the word to a pre-created list, stockpiling it for later study. There's also a flashcard feature so I can review lists once there's a nice collection of words. Unfortunately, the flashcards are not SRS so I only use this feature casually. For serious study, I export lists to a spreadsheet when I feel I've got enough vocabulary piled up, then I move the spreadsheet to Anki. I won't go on about how great the Anki system is. For that, I recommend you read the "What I Use to Study Japanese" article by James. I'm a relatively new Anki user, so the best thing I can do is show you how I use Akebi and Anki together (because neither user interface is intuitive). First, open a list in Akebi and click the three dots in the upper righthand corner, and click Import/Export. Second, name the file. Make sure to name it with the .csv extension, otherwise the file won't export properly. Hit Export. The file is then exported, but Akebi didn't tell you where it went! Thanks, apphole. To find the mystery file, go to Settings → Storage → Explore. The file should be in the main directory. From there, move the .csv file to Google Drive by highlighting the file, clicking the three dots in the upper right hand corner, clicking Move to…, and selecting the desired Google Drive. Now you can access the file on your desktop either through Google Sheets, Numbers, Excel, or any other compatible app. 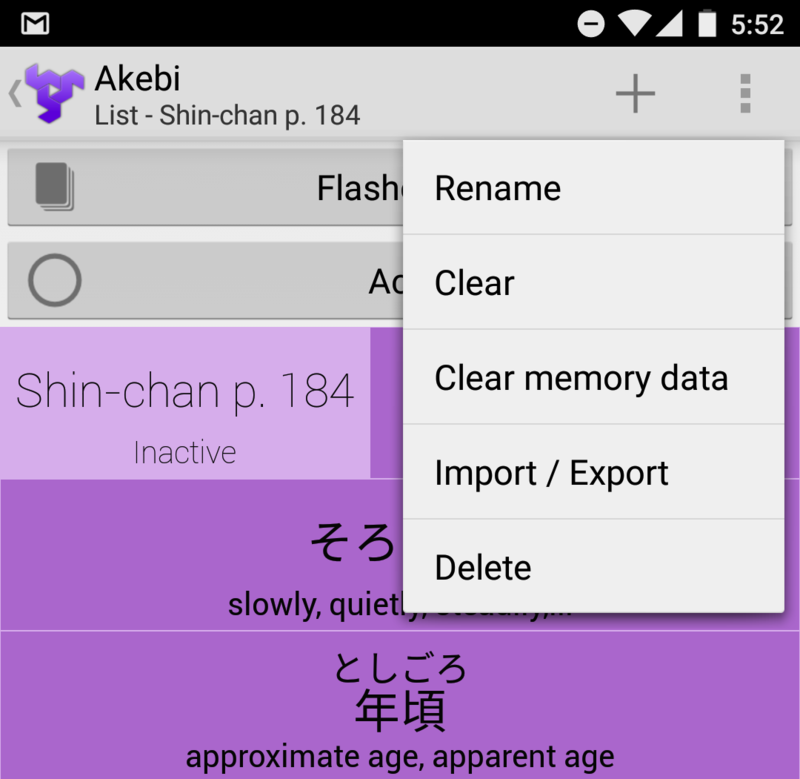 From here, you can mold the information into custom Anki decks. For information on how to do that, check out the Anki User manual. Every study regimen needs some fun. A lot of Japanese learning is discipline which means doing it every day, no matter what. It's like going to the gym to get in shape. But also like getting in shape, you should do something fun with that sculpted bod you've been working on. (You know what I mean, wink wink!) Doing cartwheels, you know? Stuff like that… wink wink. For me, "fun" is reading something I like in Japanese. Usually, my "something" of choice is Crayon Shin-chan, a manga by Yoshihito Usui. The characters, writing, jokes, and art style are all up my alley, so there's no "have to" feeling when I sit down to read. Right now, Shin-chan is at a learning sweet spot for me. I can get the gist of the story without help, but there's still plenty of vocabulary words and usage I can capture for later study. Another plus is I learn all of it in context so it sticks in my brain better. To me, rusuban 留守番（るすばん） isn't a word force-fed to me in a flashcard deck. It's forever associated in my mind with the time Shin-chan's mother left him to look after the house and he spilled paint everywhere. Right now, Shin-chan is at a learning sweet spot for me. I can get the gist of the story without help, but there's still plenty of vocabulary words and usage I can capture for later study. Pick a story: Shin-chan is nice because the stories are bite-sized, about three to four pages long, and are easy to read in one sitting. I pick one that looks like it'll have the best comedic payoff. Read it: I read the story through without looking up any words or grammar. Just me and ol' brainy trying to figure it out together. I let myself struggle and figure things out from context if I can. Read with a dictionary: After I feel I understand the story, I use Akebi to check and see how well I actually understood it. What words did I know? What words did I miss? Write out vocabulary words: As I'm reading the second time with the dictionary, I write down every word I don't know in a moleskine notebook, and save it in an Akebi list for later study. I name the Akebi list after the page number of the story. Read it again: Once I've looked up all the words, I read through the story again, with a brain full of knowledge. Often I'll read the Japanese aloud and then translate, as if I'm reading to a child who doesn't know Japanese ("Then Shin-chan says, 'Hey baby, do you like onions?'"). Sometimes I read to my cat. Read it every day for a week: After that study session, I read the story again every day for a week, usually before heading to work or before going to bed. This way, I'm reviewing the grammar and vocab and picking up layers of meaning I didn't catch before. I love this method because I get to pick up vocabulary and grammar, cement it in my head, and get my brain and mouth used to patterns as I read. Plus, Shin-chan stories are genuinely enjoyable for me. They're my "world locked in a cabinet" that Zack Davisson talked about. Learning Japanese is not easy, not for me at least. But all the gains I've made have interlocked and enabled me to do things I never thought I could do when I started. Though you won't see me giving speeches in Japanese or chatting up Shinzo Abe anytime soon, I won't stop studying. Because whenever I have that fluid conversation or breeze through manga pages, I hear a little voice say, "You couldn't have done that a year ago. Think of what you'll do a year from now." Success is about consistency, not perfection. Keep at it, and you'll make it across your finish line.